I love that color. Very well captured. Thanks! Periwinkle is quite pretty. It makes quite a show in ditches along roads. The flowers are tiny and grow on tall, slender plants. In a large mass, they would be hard to miss! I’ll do that sometime. It’s past its peak for this season and my favorite stand of wildflowers was just mowed yesterday (Ugh!). Thanks. They are a very pretty flower. Thanks, Anne. 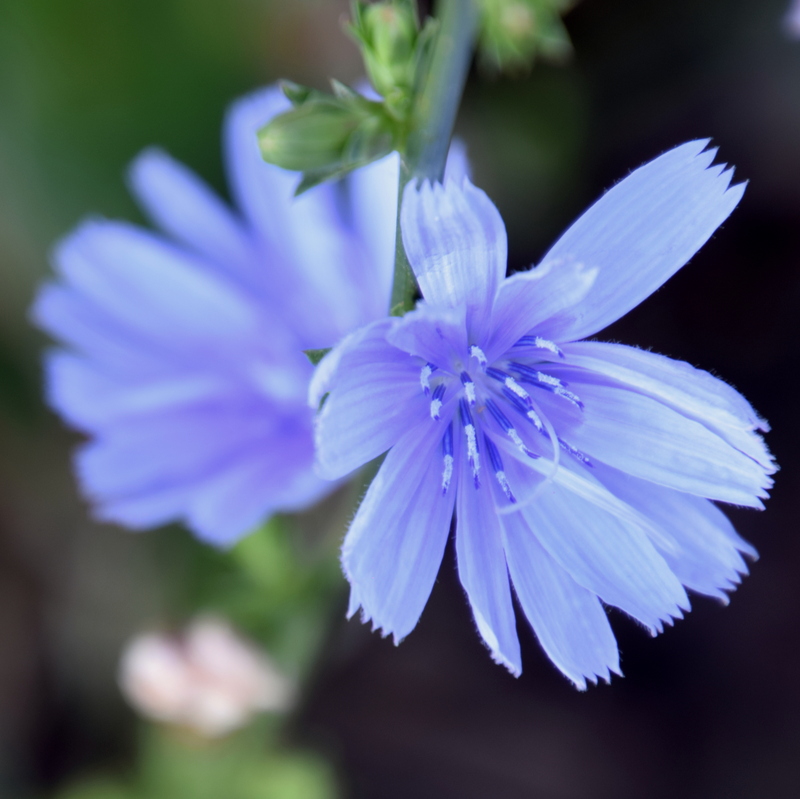 Chicory is one of my favorites. Thanks. It is quite tiny.